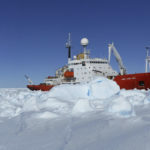 Ocean temperature has been identified as a key driver of current ice sheet retreat in the Amundsen Sea sector of the West Antarctic Ice Sheet (WAIS), yet its long-term history remains unclear. 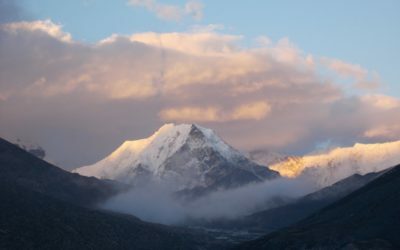 Without this crucial information, the current generation of ice sheet models cannot be validated and their ability to predict future sea-level rise is hampered. 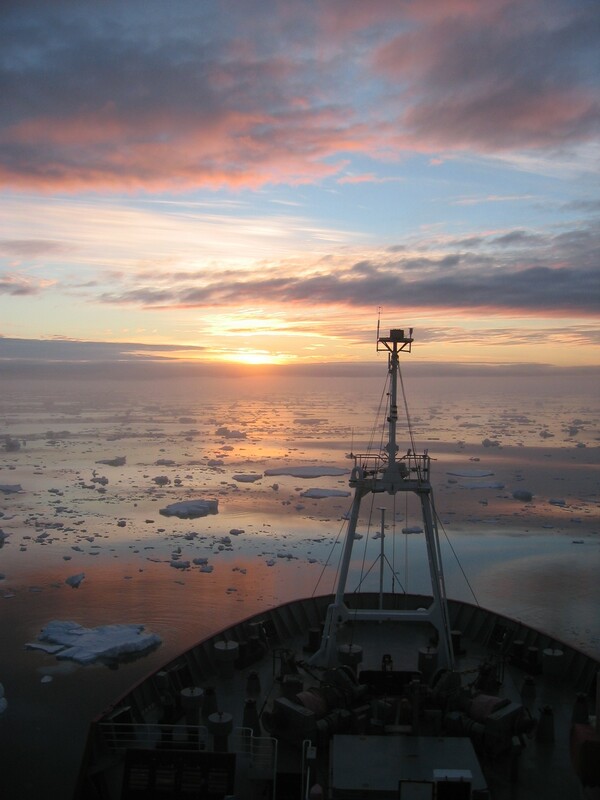 The aim of this NERC funded project is to determine how long Circumpolar Deep Water has been present on the shelf and whether the rate of oceanic melting we see today has varied over longer timescales. This project will apply geochemical methods to reconstruct past sea surface and bottom water temperatures during the last ~25,000 years. The WAIS represents one of the largest potential sources of future sea-level rise, and could raise sea level by 3-4m should it collapse completely. 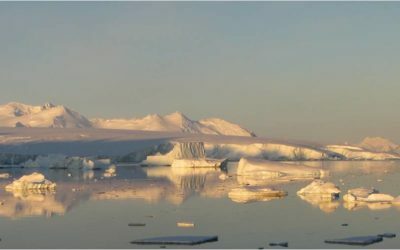 For the last 40 years glaciers flowing into the Amundsen Sea sector of the WAIS have thinned at an accelerating rate, and some recently published ice sheet models suggest that full ice sheet collapse may already be underway. 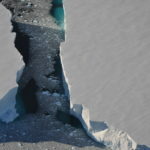 It is widely accepted that current glacier thinning is driven by warm Circumpolar Deep Water (CDW) intrusions onto the continental shelf that cause melting of the ice sheet at its margin and its base. The diagram below illustrates this process. 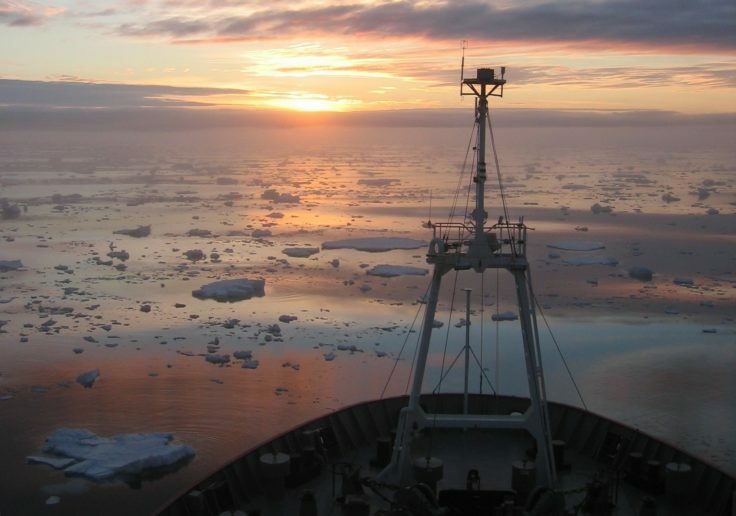 However, this new understanding is based only on measurements made during the past few decades, and the long term relationship between ocean temperature and WAIS stability in the Amundsen Sea is unknown. 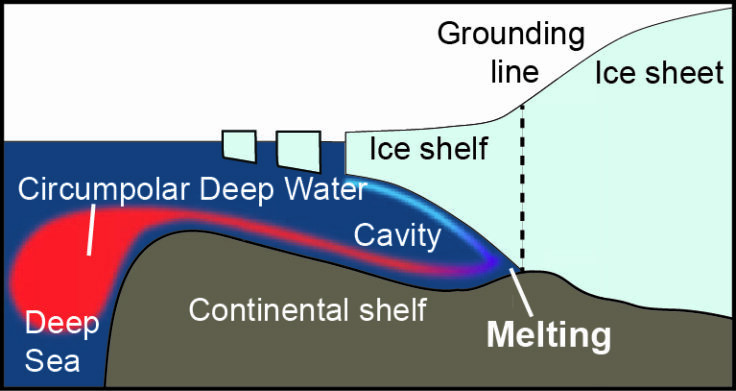 Diagram illustrating how Circumpolar Deep Water flows onto the continental shelf and drives high melt rates at the grounding line of glaciers in the Amundsen Sea Embayment. 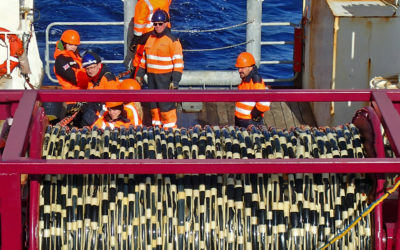 The aim of this NERC funded project is to determine how long Circumpolar Deep Water has been present on the shelf and whether the rate of oceanic melting we see today has varied over longer timescales. This project will apply geochemical methods to reconstruct past sea surface and bottom water temperatures during the last ~25,000 years. The project will exploit an extensive network of dated sediment cores – see map below – collected by investigators James Smith and Claus-Dieter Hillenbrand and project partner Dr Gerhard Kuhn at the Alfred Wegener Institute over the past decade (see relevant publications). 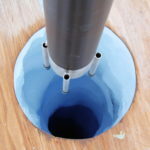 Our ocean temperature datasets will be incorporated into state-of-the art ice sheet model to better understand oceanic forcing of ice sheet retreat. 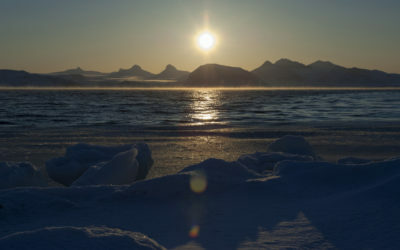 Ultimately an improved understanding of the long-term relationship between warm water and ice sheet retreat will help to reduce uncertainties and underpin future predictions of sea-level rise. Map of the Amundsen Sea showing all dated BAS-AWI cores in the ASE (black dots) and those to be used in this project (red dots). 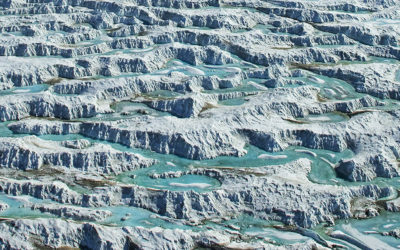 The core sites are located in the glacial troughs, which deliver CDW to the modern grounding lines. Inset shows southern boundary of the Antarctic Circumpolar Current (ACC) (blue line) relative to the ASE shelf (light grey shading) as well as deep water (rise) cores available for the project. 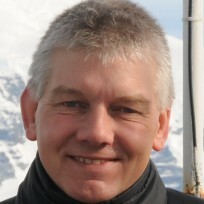 We have assembled a multi-disciplinary group of experts in Antarctic glacial history (James Smith, Claus-Dieter Hillenbrand, Gerd Kuhn), and organic (Erin McClymont) and inorganic (Kate Hendry) geochemistry to reconstruct ocean temperature and water mass characteristics based at three leading UK institutions. 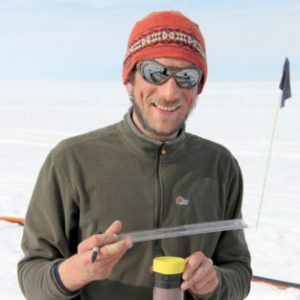 Our data will be incorporated into a state-of-the-art ice sheet model to evaluate the response of the West Antarctic Ice Sheet to oceanographic/atmospheric forcing (David Pollard). Smith, J.A., Hillenbrand, C-D., Kuhn, G., Graham, A.G.C., Larter, R.D., Johann, J-P., Erhmann, W., Moreton, S.G., Williams, T. (2014). New constraints on the timing of West Antarctic Ice Sheet retreat in the eastern Amundsen Sea since the Last Glacial Maximum. Global Planetary Change 122, 224-237. Larter, R.D., Anderson, J.B., Graham, A.G.C., Gohl, K., Hillenbrand, C.D., Jakobsson, M., Johnson, J.S., Kuhn, G., Nitsche, F.O., Smith, J.A., Witus, A.E., Bentley, M.J., Dowdeswell, J.D., Ehrmann, W., Klages, J.P., Lindow, J., Ó Cofaigh, C, Speigel, C. 2014. Reconstruction of changes in the Amundsen Sea and Bellingshausen Sea sector of the West Antarctic Ice Sheet since the Last Glacial Maximum. Quaternary Science Reviews 100, 55-86. Smith, J.A., Hillenbrand, C.-D., Kuhn, G., Larter, R.D., Graham, A.G.C., Ehrmann, W., Moreton, S.G., Forwick, M. (2011). 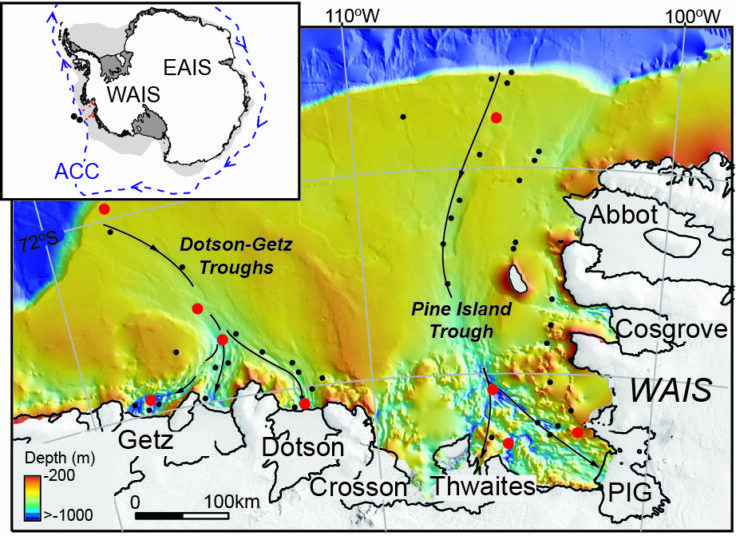 Deglacial history of the West Antarctic Ice Sheet in the western Amundsen Sea Embayment. Quaternary Science Reviews 30, 488-505.